If you have ever had the misfortune of losing the rear window in your car and in need of Rear Windshield Replacement, whether to an accident or an encounter with debris, you know the feeling of confusion when you receive the bill for the replacement. You may be surprised, because the bill or estimate is different from what it would be if it was the front windshield getting replaced. There is a reason for this, and it is often based on three things. Rear windows are made from a different type of glass. Recently, we have discussed on this blog the process of fabrication that is used to produce glass for car windshields. The main reason why there is such a price difference for replacing a front windshield instead of a rear window is because these two different products use two different forms of glass. Front windshields are made with laminated glass. For a full discussion on how laminated glass is manufactured, view our post on that topic. Laminated glass is used in front of your vehicle’s cabin because shatter-proof, which protects your eyes and face from the hazard of flying glass in the event of an accident. The back windshield, on the other hand, is made of tempered glass. This type of glass will shatter, but not into sharp shards. This glass is produced in such a way that it breaks down into tiny, round-edged pebbles. This also protects you and your family from glass-related injuries. There are different costs associated with producing these two types of glass. 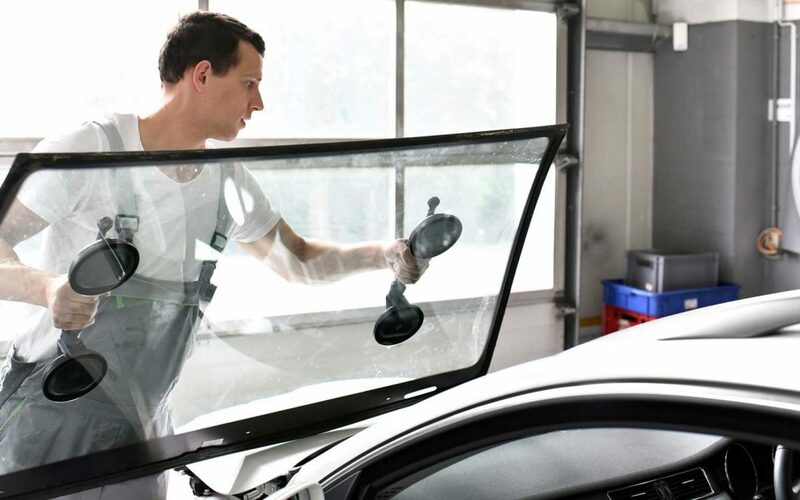 Because back windshields are designed to shatter when they are overly stressed, the glass replacement technician will need to use a special vacuum before they can proceed with the replacement. This will remove all traces of the damaged rear window from the upholstery and the interior spaces of your vehicle. This clean-up is not usually required when your front windshield needs to be replaced. Rear windows often have a defrost grid. Because the heater in your vehicle is situated in the dash of your cabin, it would take forever to melt any snow or ice off the rear window without another method to apply heat to that rear glass. The solution is a defrost grid; this grid requires delicate connections to and around the glass of the rear window, and obviously will alter the installation and replacement price in the shop. So if you need the rear, or front, windshield replaced on your vehicle, just be aware that the price will not ever be the same for both types. A rear windshield has extra steps during the replacement process that a front windshield installation would not. A front windshield may be more expensive, because of the extra care and materials required during the manufacturing process. If you have questions, just ask your glass repair technician; he or she will be more than willing to explain the pricing for the different services and components you need.